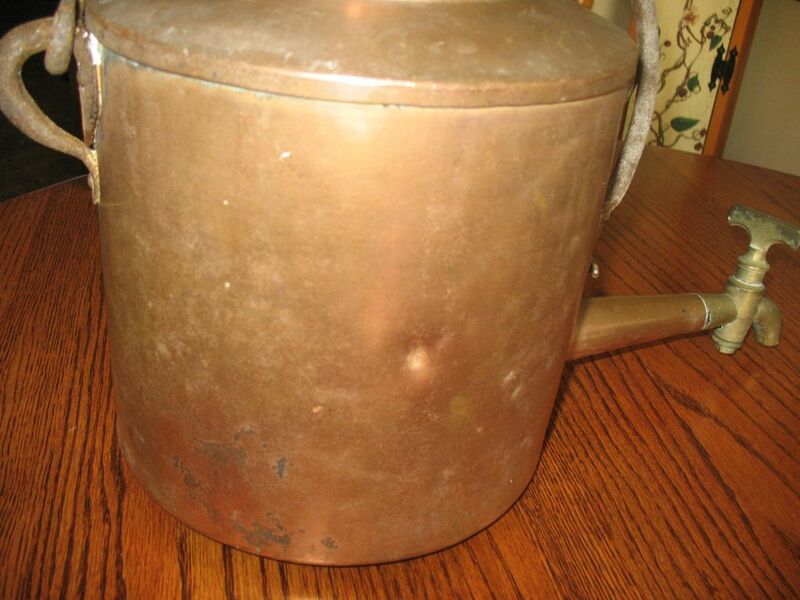 Antique circa 1800's, or possibly older, Georgian large copper kettle with brass dispenser, lid and iron handle. 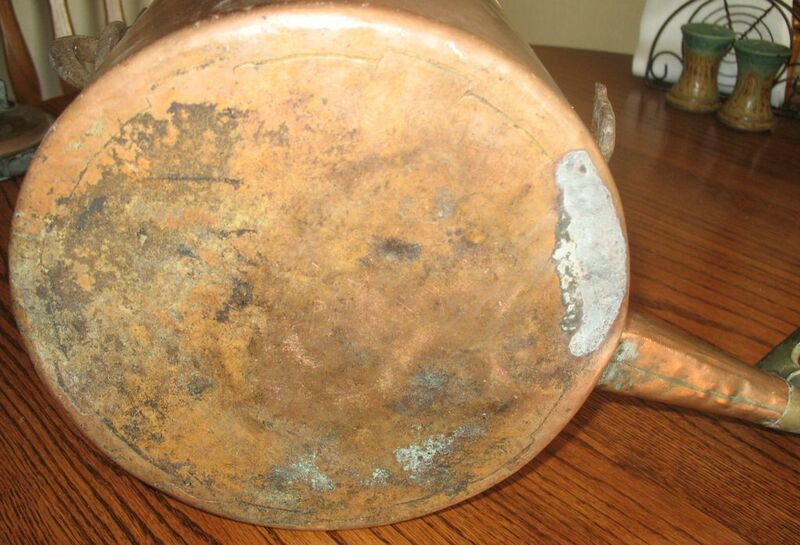 These pots were used in hearths and fireplaces to keep hot water ready for use or for making soup. 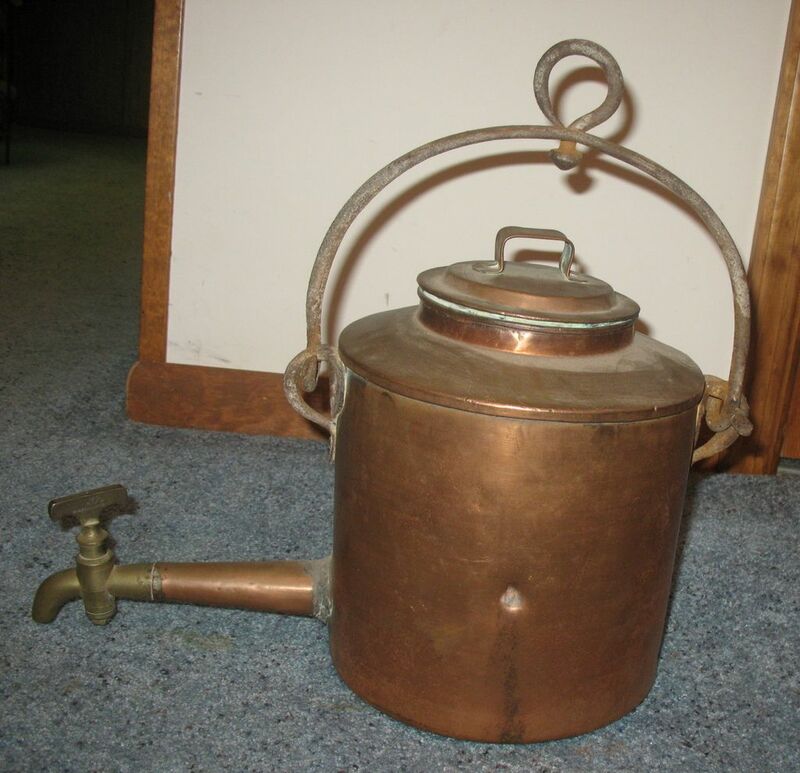 The long brass tap dispenser would allow the liquid to be poured without having to lift the hot pot. 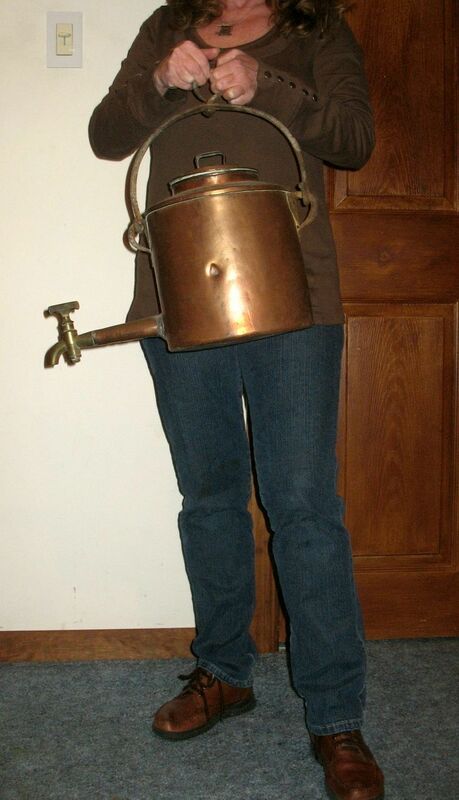 This kettle holds about 2 gallons and has the original, hand made, cast iron overhead handle with hanging loop. 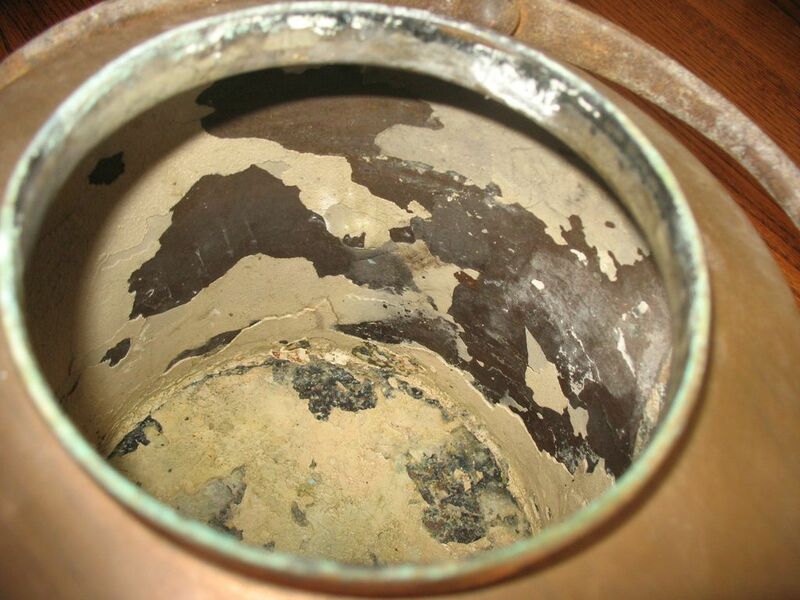 The entire kettle has been hand made and has dovetailed joints around the bottom and up the side. 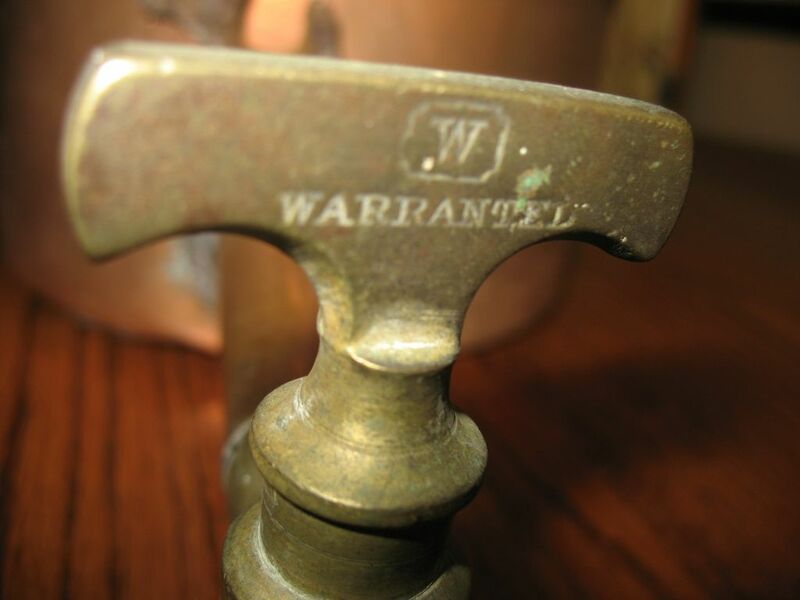 The brass tap dispenser is marked W Warranted. It measures 16" long including the spout and stands 11 1/2" high with the weight being about 5 lbs. 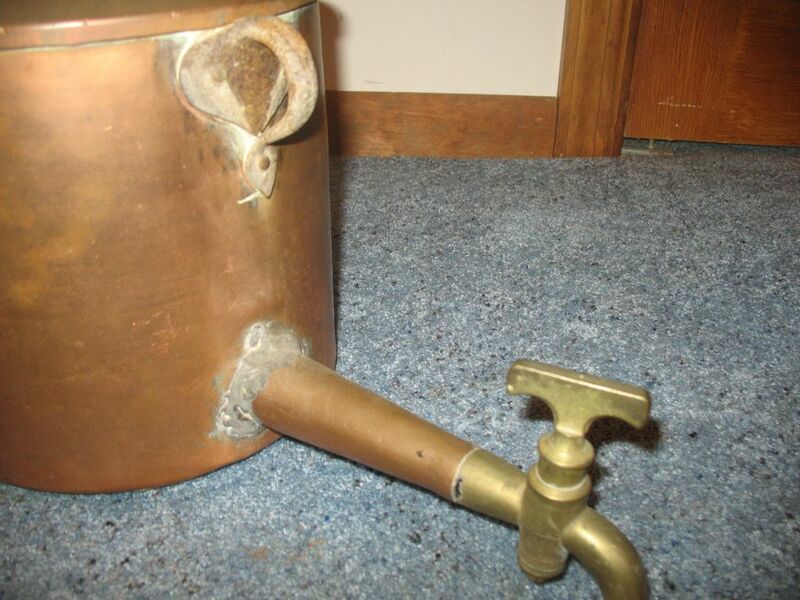 This kettle has old repairs to it with some solder around the copper spout as well as around the joint on the underside. I did test it with water and it does leak in both areas of the old repairs. There are some dents also, but, no pitting. 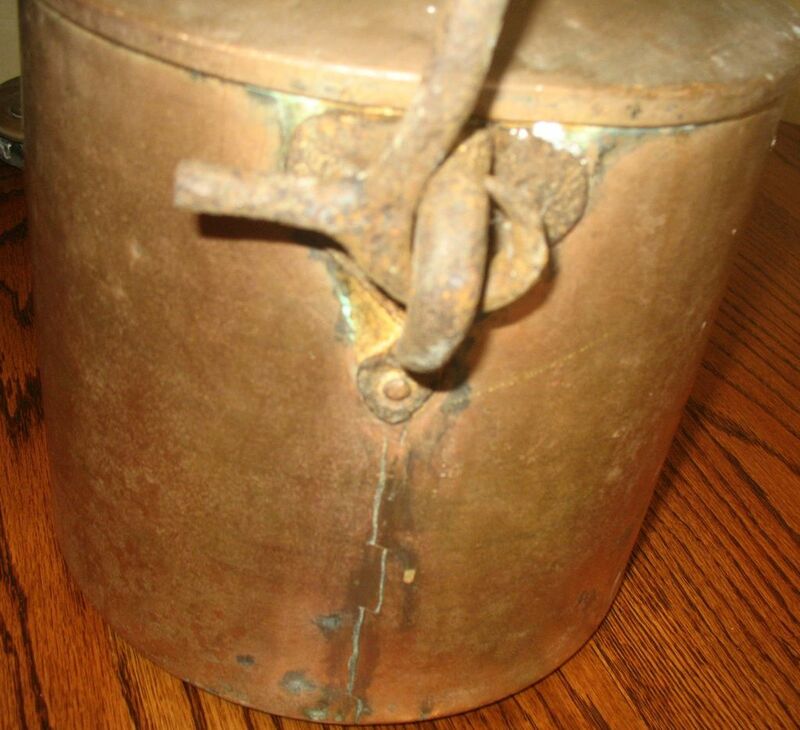 A wonderful piece for both the antique and primitive decors.